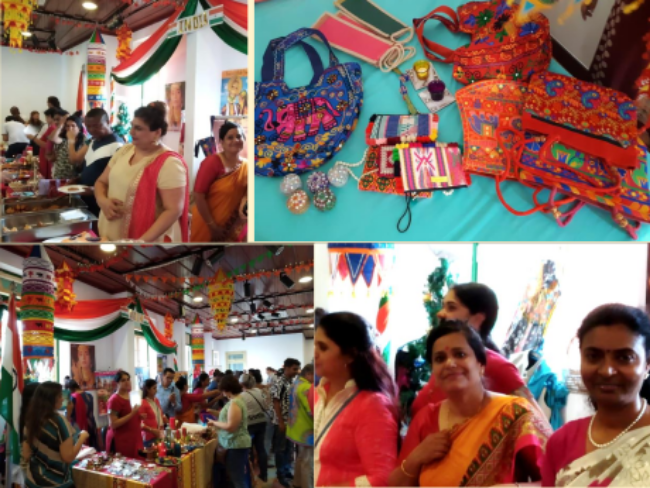 The colourfully decorated India stall at the Diplomatic spouses Charity Bazar organised by Grupo Amizade held @CCBA Luanda on 1 Dec 2018, attracted a large number of visitors. 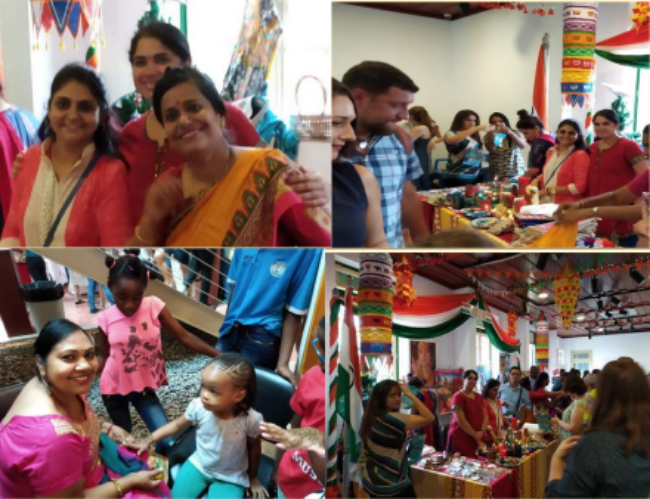 Besides, a variety of Indian Cuisine, Indian Coffee and Tea on offer, visitors took keen interest in items which were put on display at the stall. Enthusiasic shoppers hunting for good bargains brought beautiful Indian Jewellery items, exotic garments dresses, Jaipuri prints, Stoles, Scarves, Embroidery Tunics, Pallazos etc. Women and kids particularly enjoyed getting their hands painted with Mehndi (Henna). 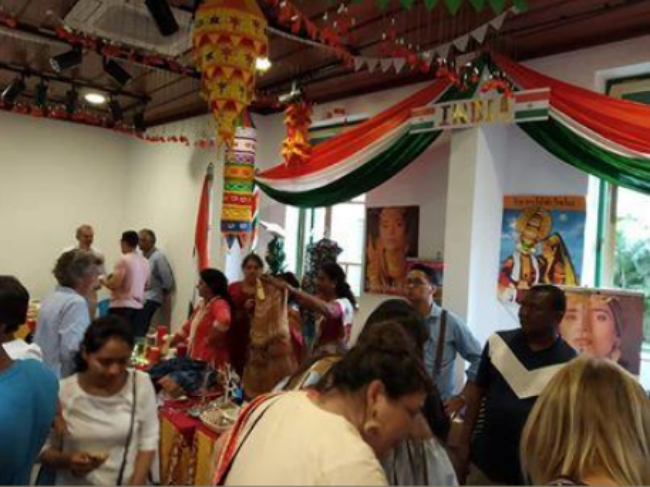 Members of the Indian Embassy and Indian Ladies group in Luanda worked hard to decorate and manage the India stall. Proceeds from the sale of items and income generated from raffle tickets sold by the India stall as well as other countries, are being donated by the organisers to charity groups and orphanages in Angola to support vulnerable families, women and destitute children.